Fan-to-fan resale tickets may take up to 24 hours for your order to appear in your account. Delivery changes may be available for your event. However, delivery method changes may not be made for fan-to-fan resale tickets. You can click here for more information on how to change your delivery method. Electronic Tickets - This may also show as eTickets An electronic ticket (eTicket) can be a Mobile Entry, or Print-at-Home ticket. Your tickets will be located in your account and will be available for you before the event. Visit My Account to locate your Electronic/eTicket type. US Mail Get your tickets within 10-14 days. Please note, US mail delivery may take longer if there is a delivery delay on your event. If you haven't received your tickets two days (48 hours) before your event, please Contact Fan Support. Will Call Tickets held at Will Call can only be retrieved by the cardholder with the original credit card of purchase and a valid photo ID with signature such as a state ID, driver's license or passport. Ticket Transfer If you receive your tickets through our "Ticket Transfer" feature, you'll receive an email with instructions to accept your tickets. 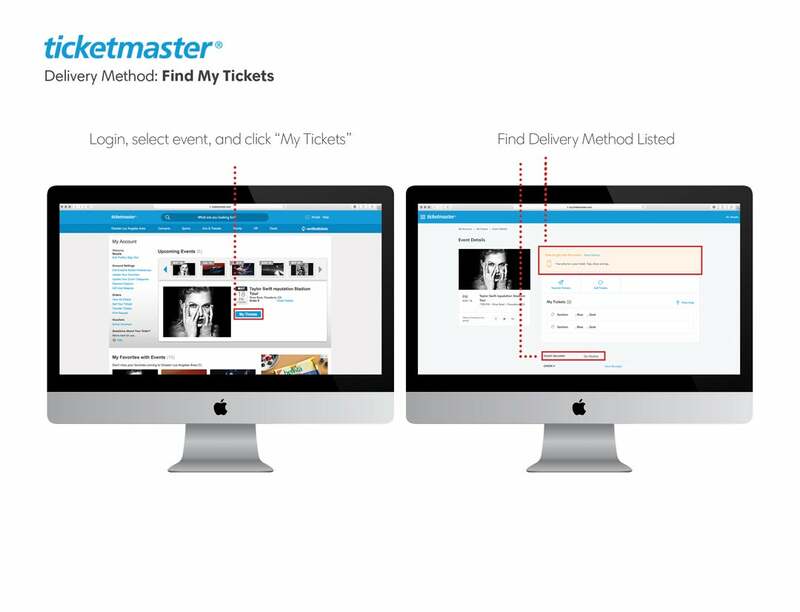 From your desktop, laptop or mobile phone, click on the "Accept Tickets" button and login to your Ticketmaster account. 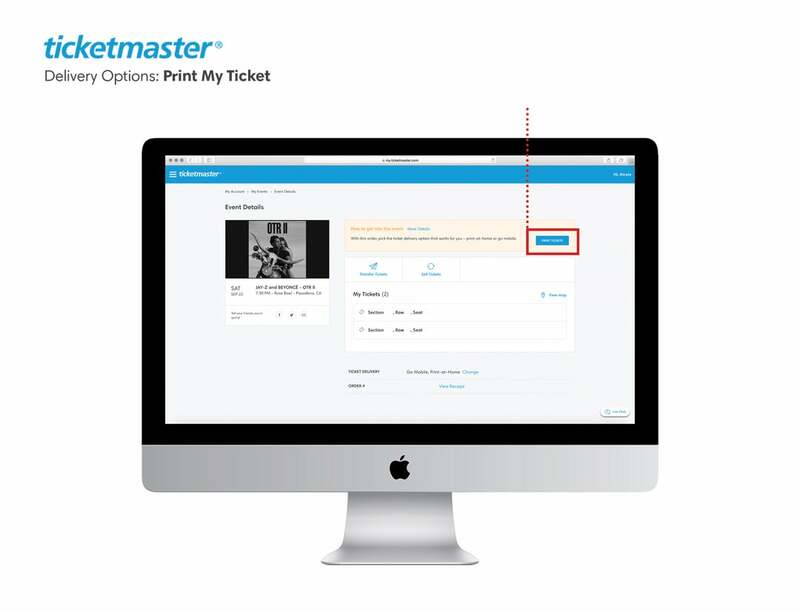 Or, if you don't have a Ticketmaster account, you can create a new one to accept your tickets. Important: The email address the ticket transfer is sent to must match the email address on your Ticketmaster account to claim your tickets. We always suggest practicing safe ticket shopping and management. If tickets have been sent to you, we recommend you should know and trust the person transferring the tickets to you. If the tickets were obtained fraudulently by the person transferring them, they may be canceled at any time. Have additional questions? We're here to help - Contact Fan Support.